Figuring out the packaging. 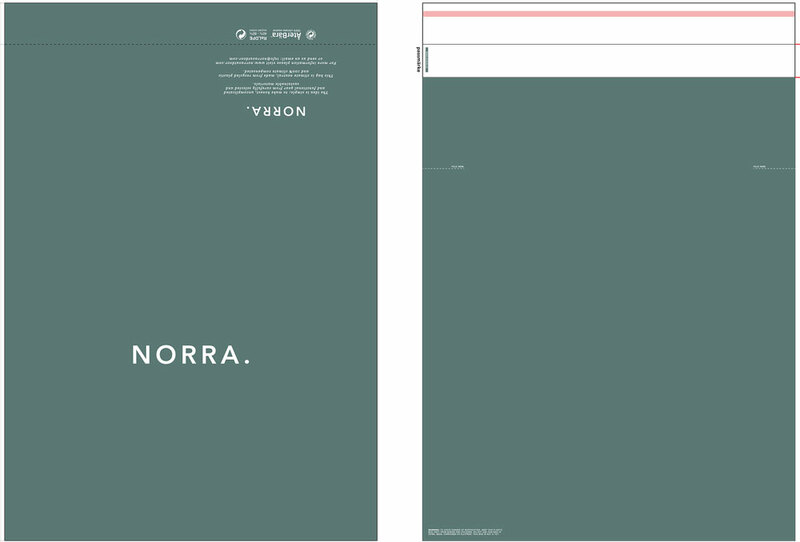 ⋆ NORRA. 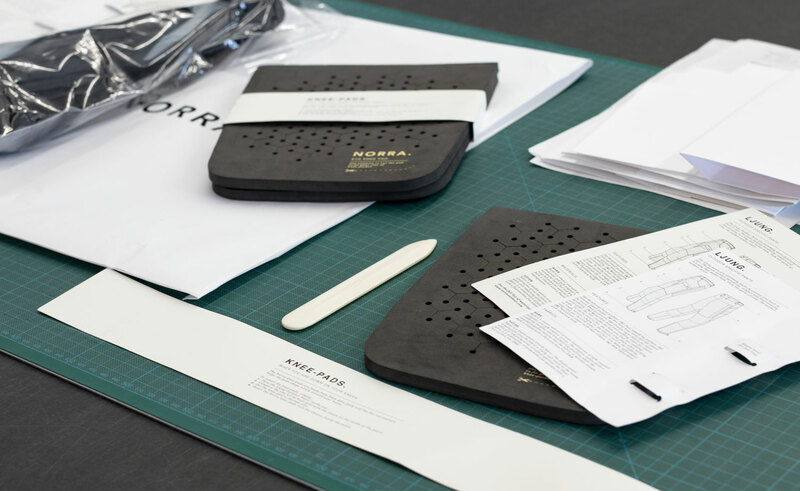 One important aspect of being able to deliver our products to you will be the packaging. We wanted to find a way to keep the packaging as minimalistic as possible but still protect the products during transport. When working with the packaging we focused on what we think is it’s two primary functions. One of the primary functions of the packaging is to protect the product from outside elements. A great way to do this with as little environmental impact as possible is to climate compensate for the packagings life cycle. We will use a bag with the Återbära initiative to make it 100% climate neutral. Read more about Återbära here. Since we don’t need traditional retail hangtags, we have the opportunity to explore the format of the hangtag and the amount of information it communicates. The input we got from you was the importance of care and handling instructions as well as features and material specifications. We are really looking forward to the delivery and it is getting closer and closer! 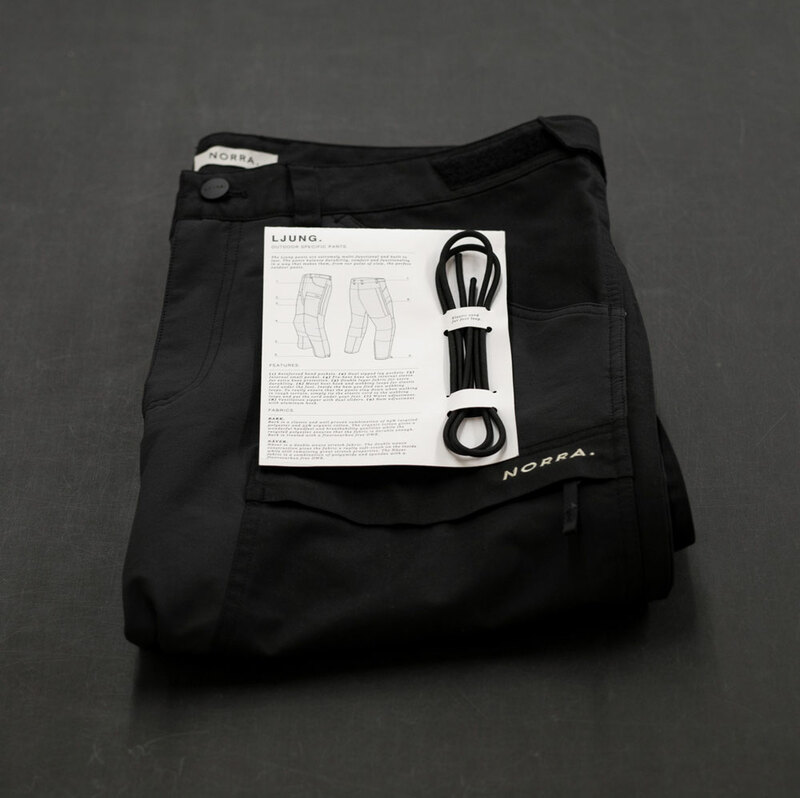 I am so glad to see the thoughts you put into this, your brand and are more than just the pants – I really feel that sustainability and quality runs through all of NORRA. 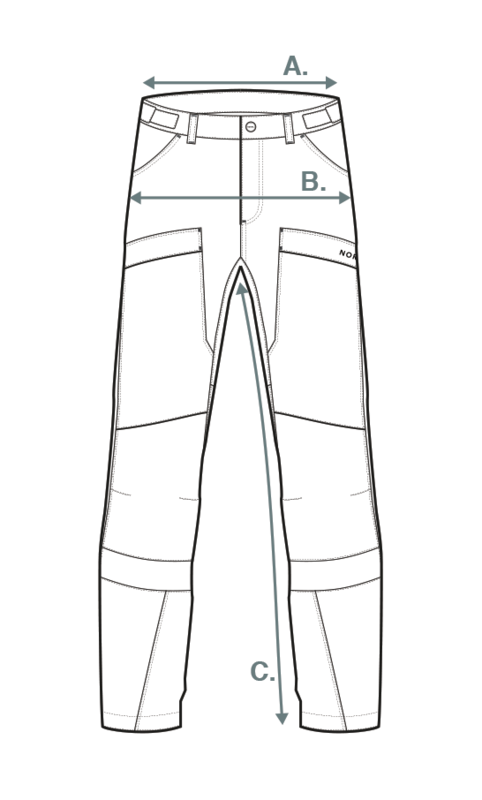 I am super excited that we’ll get our pants soon! Thanks for the great feedback, we really want to apply this strategy on more products going forward! And we are really looking forward to get the pants out to you! !